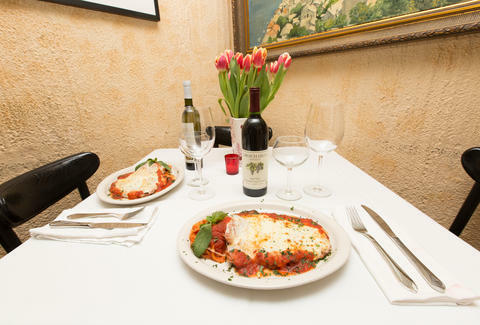 With Italian restaurants a dime a dozen in NYC, it’s hard to know where to find the stuff grandma would approve of -- we’re talking lasagna, veal Parm, and manicotti (or “manicot,” as grandma might say). When you’re craving the sauciest, cheesiest, most colossal plate of Italian-American food you’ve ever eaten, there is only one answer: an old-school red sauce joint. Many claim they’re authentic, but these are the absolute best, wise guy-approved red sauce joints the city has to offer. 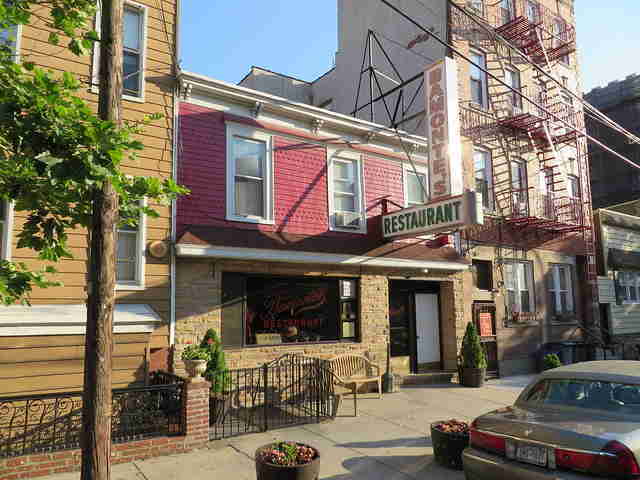 A recent appearance on Master of None may have revived its social relevance, but regulars will proudly boast that Bamonte’s has always been the best gig in town. Situated beneath a mammoth glowing sign on an otherwise quiet Williamsburg street, Bamonte’s is a time-capsule in both product and presentation -- the menu is classic, the staff serves in tuxes, and the walls are lined with a who’s who of Italian fame. And with the affordable price-point to match its retro feel, you can order as much manicotti, mussels, and chicken Parm as you damn please. A sophisticated establishment specializing in Northern Italian fare, Villa Berulia makes a splash with tux-donned waiters, an impressive array of daily specials, and an atmosphere that is at once classy yet cozy. 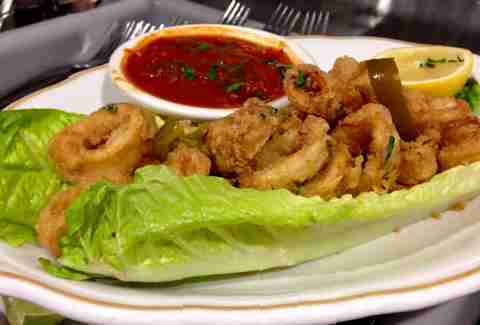 Enjoy feathery fried calamari, succulent veal scaloppine, and a colorful wall of fame featuring the likes of Joe Torre, Derek Jeter, and Hillary Clinton. Anyone who knows anything knows that the real Little Italy is in the Bronx on Arthur Ave, and places like Mario’s have the chops to prove it. 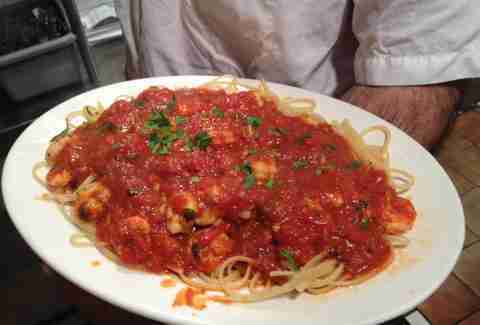 In business over 92 years, Mario’s delivers buttery linguine and clams, red sauce-covered spaghetti and meatballs, and painfully tender osso buco in absolutely insane portions. A traditional Sicilian joint with the no-nonsense attitude to match, Ferdinando’s is all about being authentically badass. Come for the softball-sized rice balls that will make you cry with joy -- get “the works”, trust us -- and stay for the potato croquettes with panelle (a Sicilian chickpea fritter) and world-class cannoli. Any restaurant that serves free homemade sausage bread is a legend in our books, and that’s just the beginning of why we’re obsessed with Emilio’s. Owner Emilio Vitolo can usually be spotted at his favorite, right-of-entrance table where his presence only seems intimidating. Freefall into a literal mountain of spaghetti and meatballs, gorge on extra crispy baked clams, and keep an eye out for Billy Joel, who’s a regular. A village fixture since 1919, Gene’s brims with all the charm you’d expect out of an old-school joint, and we like it that way. The antique decor matches the longstanding clientele, but one taste of the buttery veal marsala or light-as-air manicotti will make it clear why the regulars keep coming back for more. Giant leather booths, recently bailed mobsters, and the judges who convict them -- this is a typical scene at Forlini’s. Serving the “courthouse crowd” for over 70 years, Forlini’s is a bona fide institution with the gangster clientele and has ridiculously good red sauce to back it up. Feast on crab-stuffed shrimp in butter sauce, eggplant Parm, and a lasagna that may rival your grandma’s. There’s a pianist up front, a riotous crowd in the back, and an old-school cash register behind the bar -- these are just some of the many reasons to love Campagnola. Big portions, elegant service, and a lively environment dominate this UES joint that serves up delicious red sauce fare like penne puttanesca, lobster & spaghetti, and pillowy gnocchi. But while the savory stuff is enough to seal the deal, the dessert makes it a grand slam -- order the dessert platter and enjoy a sea of gorgeously presented tartufo, gelato, sorbet, and cannolis. At this decades-old establishment the waiter is your menu. 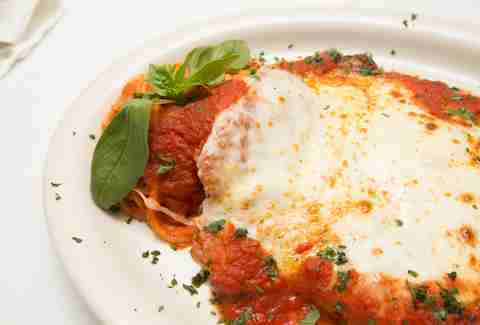 Choose from one of your server’s selections or request your own personal favorite -- lasagna, baked ziti, veal milanese? 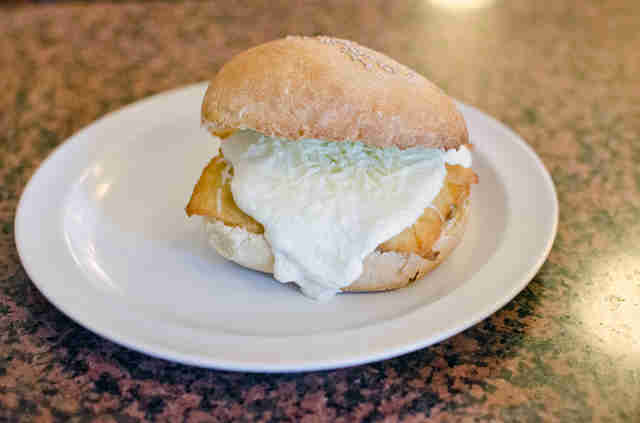 If the product is on hand (and it almost always is) the chef will make it for you, and it’ll be fantastic. Seating is communal and most entrees are $20 or less. 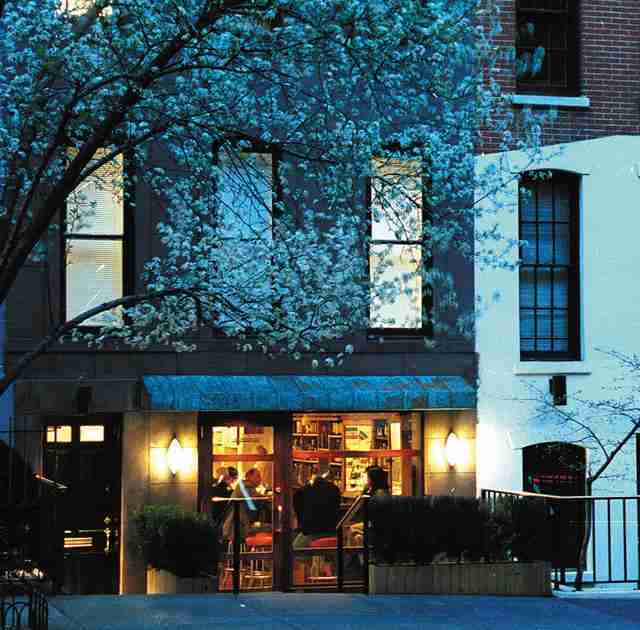 This sophisticated subterranean restaurant on West 4th has been feeding village residents and NYU students alike since the ‘70s. It’s a low-key joint even with waiters in tuxes and a classic red sauce menu boasting huge portions of braciola with gnocchi, sole sauteed in lemon and capers, and wild porcini penne. When an old-school Italian joint has an indoor bocce court, you know it’s legit. That’s just one of the reasons we love Il Vagabondo, where the service is friendly, the tables are checkered, and Tom Hanks is a regular. 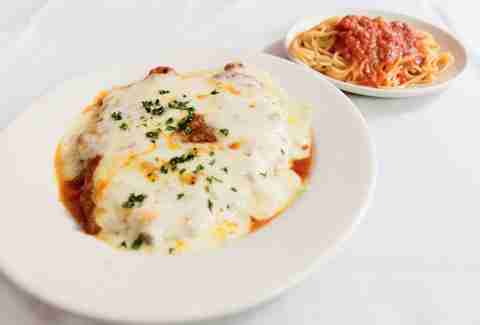 The chicken Parm is large enough to feed an army, and the meatballs are mammoth-sized and coated in meat sauce. Sam’s is a classic old Brooklyn joint outfitted in red-checkered tablecloths and red leather booths, and offering some of the best brick-oven pizza in the city. Look out for the highly entertaining owner, Louie, who will be sure to talk your ear off. 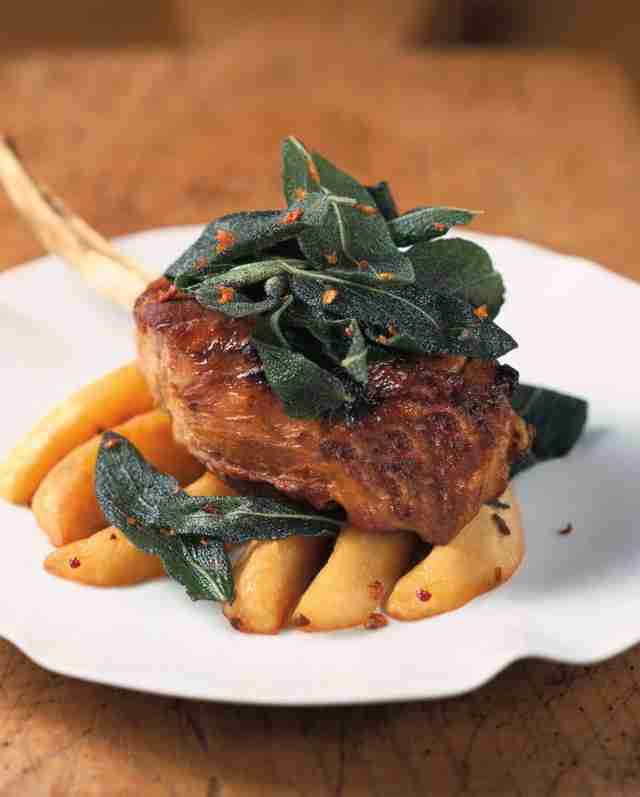 For over 20 years, Il Mulino has been serving some of the city’s best Italian food in unparalleled style. Classic dishes like clams casino and spaghetti bolognese are complemented by more modern fare like filet of beef with spicy caper sauce. 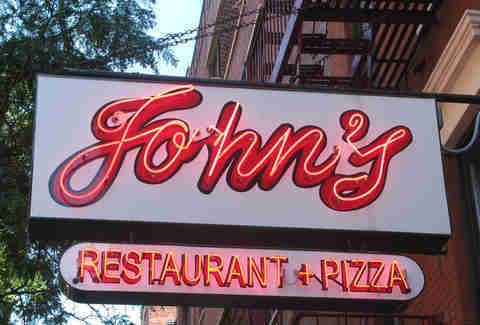 One of the country’s oldest family-owned restaurants (and still in its original location! ), Rao’s has been serving red sauce realness for over 100 years with an array of Italian classics like fried mozzarella sandwiches, gigantic meatballs, and penne alla vodka. The 10-table VIP establishment is notoriously impossible to get into, so godspeed trying to score a seat. Low lighting, wooden booths, and friendly service all lend a quiet charm to this East Village mainstay that’s been delivering authentic Italian eats for over 100 years. Perfect for Sunday dinners (or when you feel like eating your weight in red sauce), spend a night here tasting everything from the homemade pappardelle with beef ragu to sausage parmesan and heavenly veal meatballs. Christine Fischer is a freelance writer for Thrillist whose last meal would be eggplant rolatini, lasagna, and profiteroles. Follow her on her blog, Facebook, or Twitter.